Next time you’re on the golfing green about to tee off, you might be interested to know you’re surrounded by the likes of kestrels and owls. Well, if you’re at Cumberwell Park near Bradford on Avon you will be. 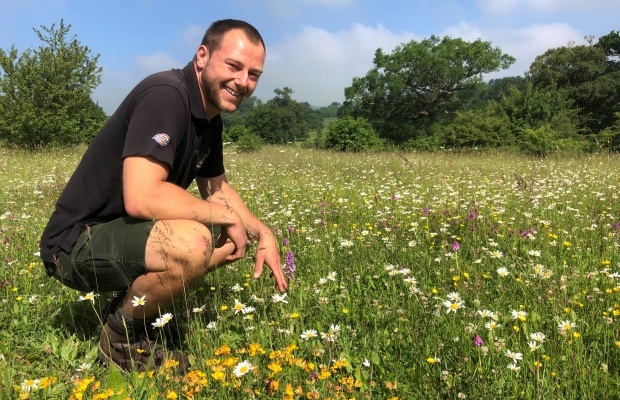 The 4-star 45-hole course has just scooped the Bath Life environmental excellence award, and its greenkeeper and head of conservation, Jon Keepen, was shortlisted for Conservation Greenkeeper of the Year in the Golf Environment Awards. Cumberwell Park’s owners previously farmed the land, and its mixture of woodland and parkland is still treated with the utmost respect and care. Course manager Matt James spoke to The Business Exchange as part of the first ever national Green GB Week, a government initiative aimed at applauding best environmental practice in business. Matt said: “We’re quite fortunate to have a diverse habitat here, even before the golf course was built in 1994. We’ve got ancient woodlands, streams, lakes and we’ve also created a lot of rough grassland in and around the golf holes, which provides a really good habitat for wild flowers. Matt says many golf courses take a dedicated approach to the environment, but Cumberwell Park is particularly blessed with its richness of habitats. Little wonder then that Cumberwell Park is already attracting the plaudits. Bath Life Awards commended its “highly thoughtful conservation work: the commitment and range of work it does and also the way it communicates its importance to members”. The team are currently waiting to hear if they’ve again made it through to the finals of the Sports Turf Research Institute’s Golf Environment Awards.